We are enlisted amongst leading companies for offering wide assortment of Jaisalmer Yellow. 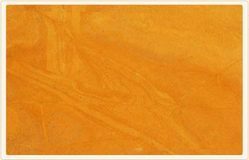 This Jaisalmer Yellow is native to city of Jaisalmer, Rajasthan and is able to retain its quality and appearance for years. Customers like our product for their appealing look. J - Yellow Limestone more popularly known as Jaisalmer Yellow Limestone is a natural material and is generally used in making rough block, slabs, tiles and monuments. The variation appears in the form of black dots and brown lines. Yellow limestone is mostly used in a polished surface finish on both walls and flooring. Our wide range includes finely polished and finished natural stones that are sourced specially from Jaisalmer. The Jaisalmer yellow polished range has superior features related to resistance against wear and tear, abrasion etc. We are enlisted amongst leading companies for offering wide assortment of Jaisalmer Yellow. 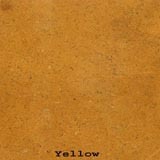 Jaisalmer yellow limestone is bright yellow limestone sawn from blocks and can be a given a high gloss polished finish. Jaisalmer yellow limestone which could be used for various interior and exterior decoration applications. Jaisalmer yellow limestone is known globally for its finish and appealing sun kissed yellow colour.